A snack spread simply isn’t a snack spread without cheese and crackers. 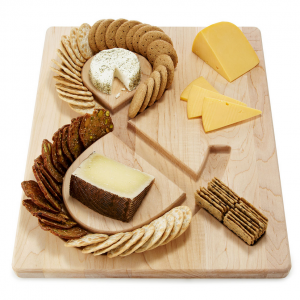 Highlight the all-important “&” with this text-friendly cheeseboard, made from North American maple and featuring a teak oil finish. Great gift for someone who loves to host parties in style!